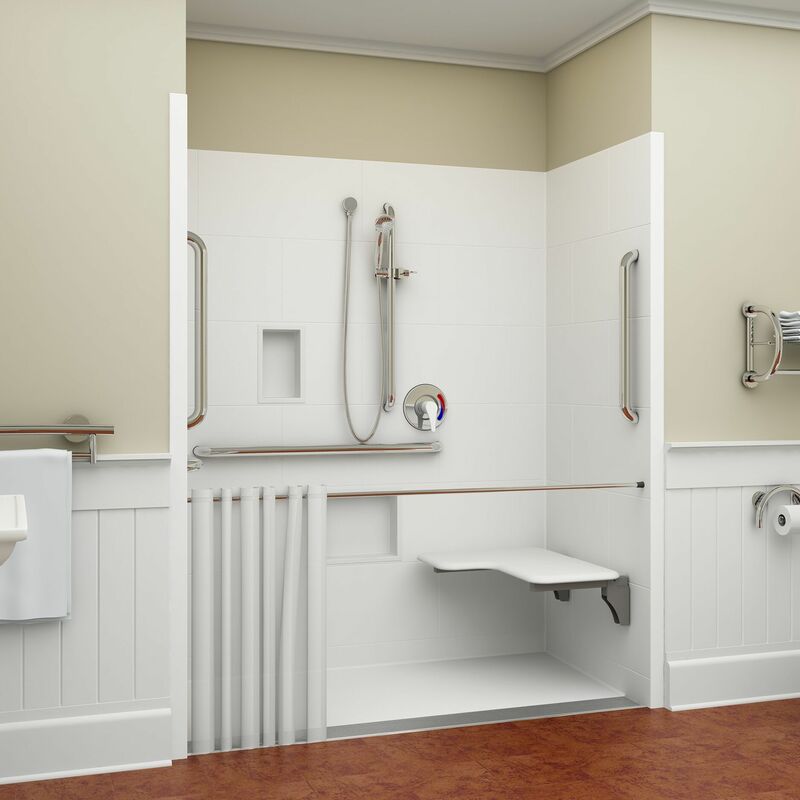 L-Bar Configuration Code compliance can be synonymous with skilled nursing in that both require full adaptability of base shower models into fully accessible systems delivering the highest quality of care to the resident and the most assistance to the caregiver. 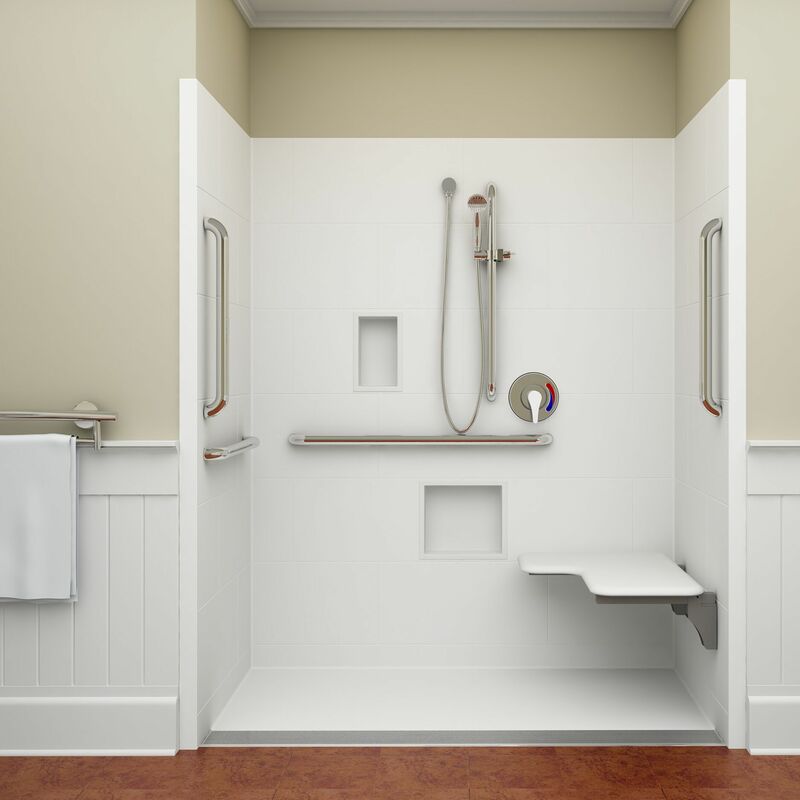 The shower with a seat combination is the most common and versatile and the only system recognized by ANSI. The seat is a fold up style which means the unit can be utilized as a true roll in compartment. Since the resident is most likely assisted into the seat, the plumbing will be located near them for access. 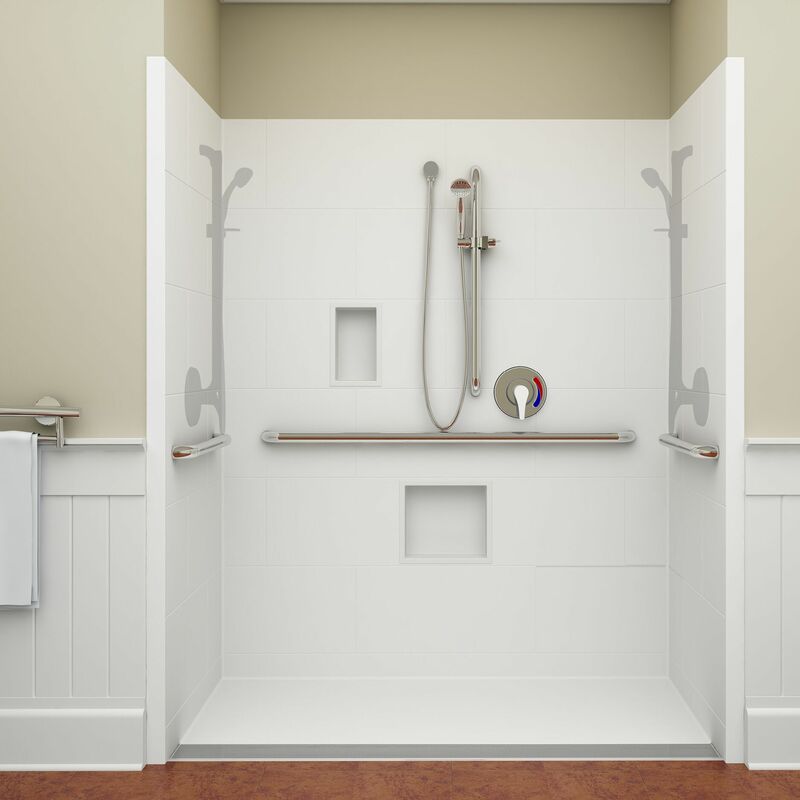 The slide guide will be a grab bar combo system for convenience. 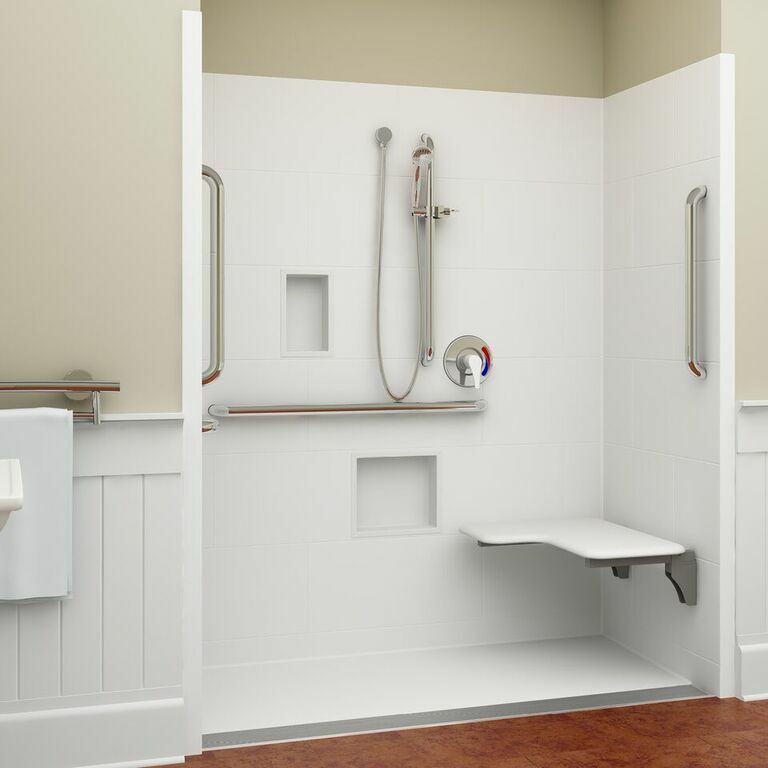 The prescribed grab bar is an L shaped configuration giving both the caregiver and the resident access to support. L-bar configured shower with optional caregiver curtain. U-Bar Configuration with aftermarket seat with back. The U-bar configured shower is versatile in its own right allowing for multiple after market seat placements. Caregivers like direct access to to bathers with a rear back wall seat placement such as this. If the resident bathes in a mobile chair, the open footprint of a U-Bar configured system provides the most space. Model shown has 34" interior depth and is considered the minimum depth for proper mobility in a wet chair. National Code allows for 32" but some states disagree and set municipal guidelines of at least 36" depth. So the appropriate roll in depth debate continues. Plumbing in a rollin shower can be on either of the three walls. The concept being that the bather is mobile in a wet chair with wheels and can move forward or backward for independent access if possible.